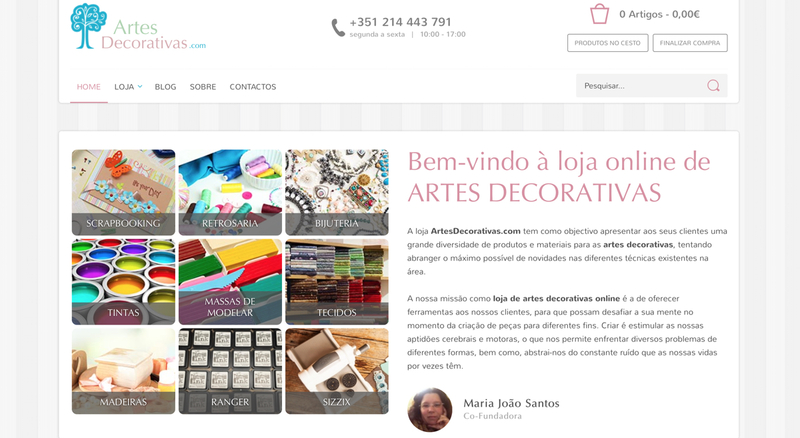 ArtesDecorativas.com is an online shop dedicated to Crafts business area. The store was launched in 2016 with almost 500 products in display and counting. This is a very personal project made by a longtime Crafter, Maria João Santos, which shows her passion by this business area. The store is followed by a physical location in Portugal, making it a very interesting project to follow. It also supports tutorials and Workshops, therefore, a very complete project to maintain. Artes Decorativas means “Crafts” in Portuguese.